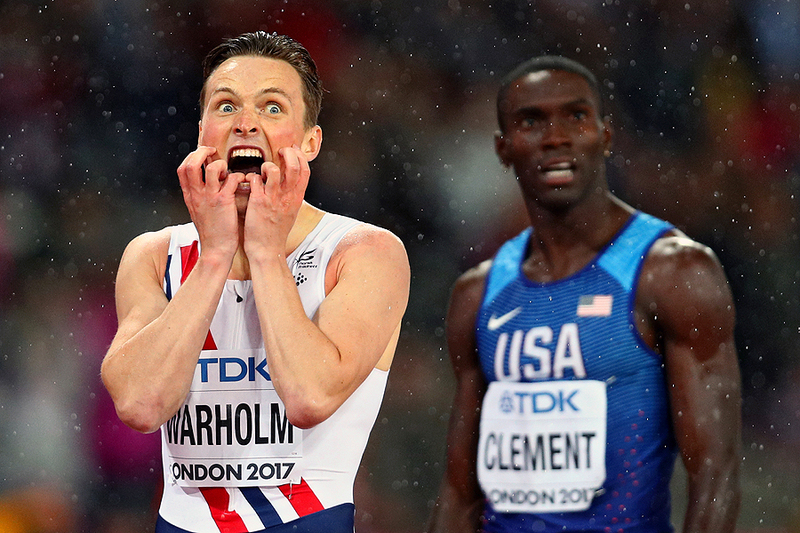 "Karsten Warholm of Norway and Kerron Clement of the United States react after crossing the finish line in the Men's 400 metres hurdles during day six of the 16th IAAF World Athletics Championships London 2017 at The London Stadium on August 9, 2017 in London, United Kingdom." Anytime a sporting event includes the word 'championship' one knows it's going to be a good one. I had the amazing opportunity to document yet another IAAF World Athletics Championships - this time in London. Much like any major event, it couldn't be done without an amazing team at Getty Images. From the work before anyone arrives, to everyone pulling their weight during, and everything that happens when everyone is home and resting. The collaboration helps everyone focus on the continual stream of compelling moments that make a package for our clients and viewers nothing short of stellar. I always say if you're having fun then you're making good pictures. This event was proof of that for our entire team. It doesn't hurt when you walk away with some images that perfectly told the stories of the games for yourself, too. Loving the world of athletics and always looking forward to the next meet.